Discuss ways in which past experiences can impact your current life. There is much overlap between these two approaches, but the main difference is that a counselling approach is often shorter term, and more of a focused approach to a client’s problems. 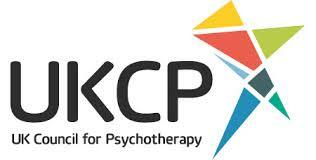 In psychotherapy a more in-depth approach is taken. Why do people go to see a therapist or counsellor? People come to therapy and counselling for a range of different reasons. They might come seeking help for a specific problem such as difficulties in relationships, panic attacks, anxiety or depression, or they might be seeking help for a general sense of unease or loss of meaning in their life. Therapy is a way of getting to know ourselves better, to relate to others in more productive ways, and to gain insight into the struggles and conflicts we face at different times in our lives. For how long do people go to see a counsellor/therapist? The length of therapy or counselling depends on your needs and concerns. I offer both short-term and longer-term therapy and counselling. The duration of your therapy will be something we would discuss in initial sessions. Will the process of therapy make me feel better? The aim of therapy and counselling is to help you gain a deeper insight into the difficulties you are facing in order that you can make positive changes. At times, the process of gaining insight into our struggles can release deeply held feelings, which can be difficult. This is where the relationship between therapist and client is important; because time will be given to empathically helping you work with your feelings, in order to move to a sense of greater wellbeing. How long is a therapy or counselling session? Regular sessions are 50 minutes in length, and are held at the same weekly time. Details about this are discussed in your initial consultation. Your initial consultation can last for up to 90 minutes, so that we have enough time to explore what is troubling you, and to discuss the best therapy options for you. When do you have sessions available? I work during the week, including in the evening and early morning. Please contact me to ask when I have sessions available. I do not have a waiting area at my Beaconsfield practice, so clients need to arrive at the appointed time for sessions. If you are coming for an initial session, you can pay for that at the time of coming to see me. If you are attending ongoing sessions, you will usually pay on a monthly basis. What happens if I am away and have to miss one of my regular sessions? If you are attending ongoing therapy and cannot attend your regular session, we can discuss different options such as a session by skype or telephone.